Uncategorized Archives | Chicago Car Club - The Nation's premier buyer of classic cars! There’s no other way to put it, we’re total suckers for cars with interesting backstories. 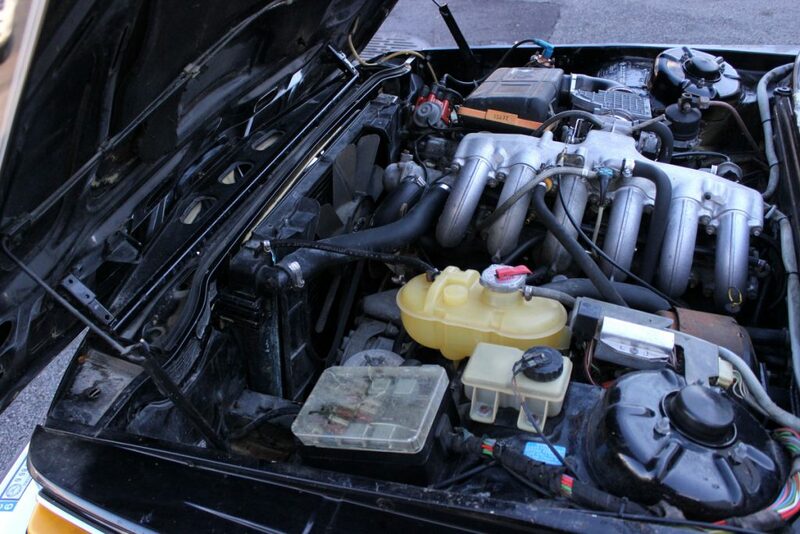 We hear a lot of them; “How’d you manage to own the car for 40 years and only put 1,000 miles on it?”, “Well, I drove it home from the dealer, used it for a few weeks, decided it was a piece of crap, and parked it.” Or, “This is a really valuable car. Is there any particular reason you left it stored for all these years with the top down?”, “I don’t know, must’ve been sunny out the last time I drove it.” These are just a couple of the backstory comments that made us laugh over the course of the past year, but the deal we just closed on a couple of ultra-low-mile Cadillacs may take the cake for our favorite vehicle backstory of 2018. 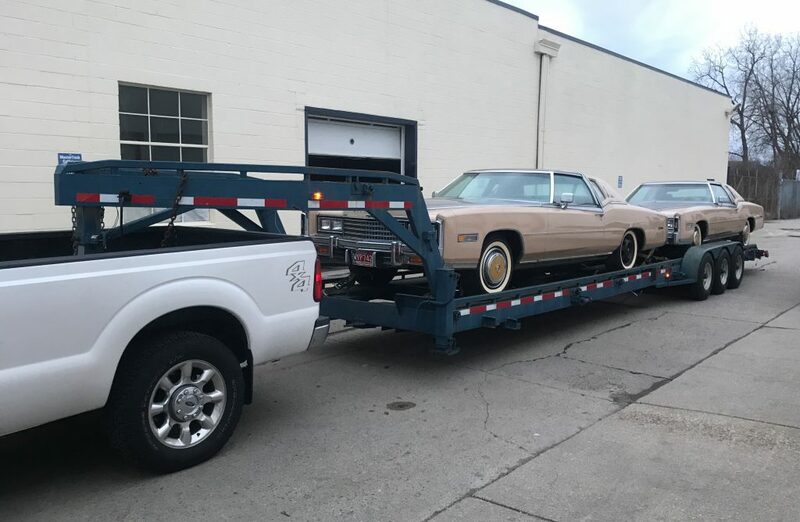 We were contacted by a guy just outside Detroit who told us he was looking to sell two ‘78 Eldorado Biarritz Custom Classics. Due to poor health in the family, the cars had fallen into his lap and he didn’t want them nor know what to do with the 40ft-worth of vintage American luxo-barge now in his possession. His father-in-law had bought the two Eldorados new in ‘78 and they remained in the family ever since. 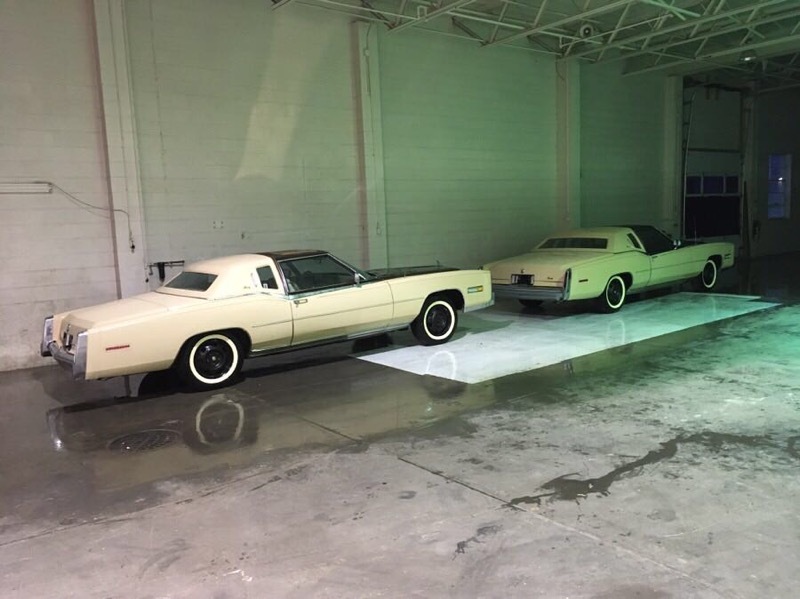 He’d actually put them away in storage as soon as he bought them, as Cadillac had announced the ‘78 Biarritz Custom Classic as the swansong of the big, beloved Eldorado and he speculated that they would one day become tremendously collectible. These cars were put away with less than 500 total miles from new between the two of them, protective plastic still on the seats, and the window sticker still stuck to the glass. Based on just a couple grainy, dimly-lit, flip-phone photos of the cars sopping wet, we decided the cars were worth the gamble and blindly wired the guy a respectable sum of money. Would you buy two cars based on just that photo? Yeahhh…it was nerve-racking, no doubt about that. But the flip-phone-wielding, non-tech-savvy seller is a situation we routinely encounter, and [knock on wood] we’ve been pleasantly surprised upon delivery more often than not. 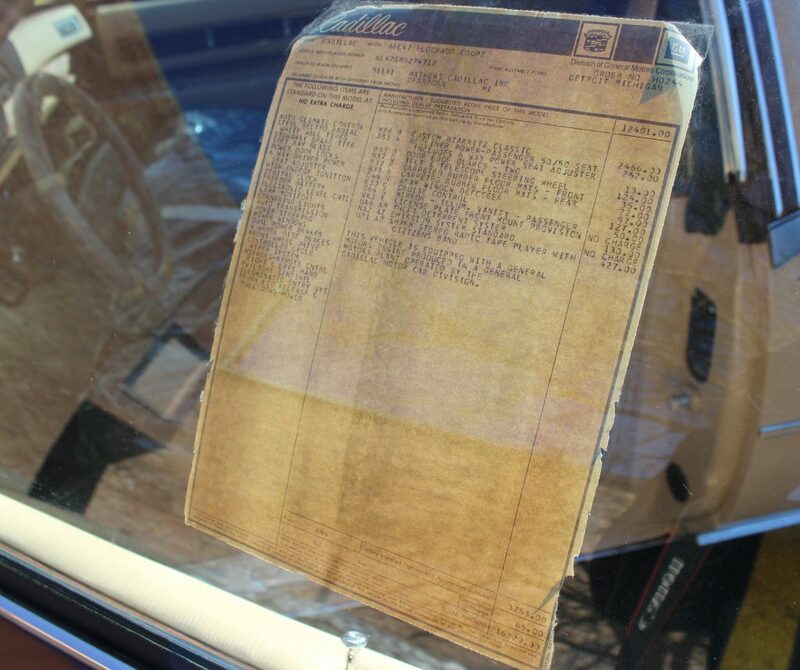 Anyway, we knew that the cars were special and the unbelievably low mileage was certainly enticing, but we were told that the two cars had spent the overwhelming majority of their lives locked in a sealed storage container, and that was a little unsettling. While it sounds like a good thing, we’ve seen cars that have been stored long-term in cargo containers, and they haven’t always aged well. These containers can develop leaks, and over the years things can get ugly. While the deal had already been made and the cars were already paid for, we decided we’d drive all the way up to Detroit and pick the cars up ourselves, rather than hire a transporter. We had to see the cars, storage container, and owner in person; we wanted the full backstory from the man himself. 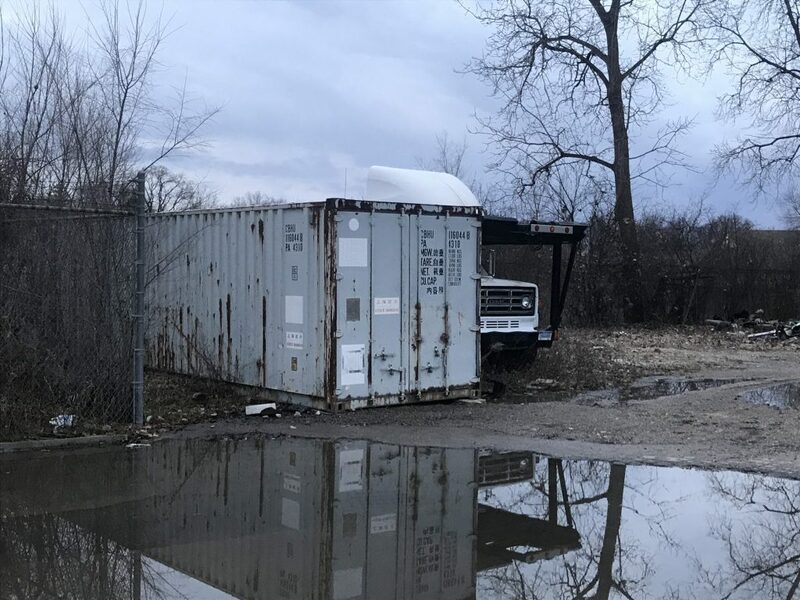 While it doesn’t quite look nice and cozy, the storage container was dry, leak-free, and the cars survived in miraculously excellent condition. So, as I mentioned, the seller’s father-in-law bought the cars new and proceeded to put them in storage straightaway. But here’s where the story gets really good. The owner was Greek and had a big family, including two daughters. Both his daughters happened to get engaged right around the same time, and the family decided to have one big, combined wedding. Over 500 people in attendance, your classic “big, fat, Greek wedding”. 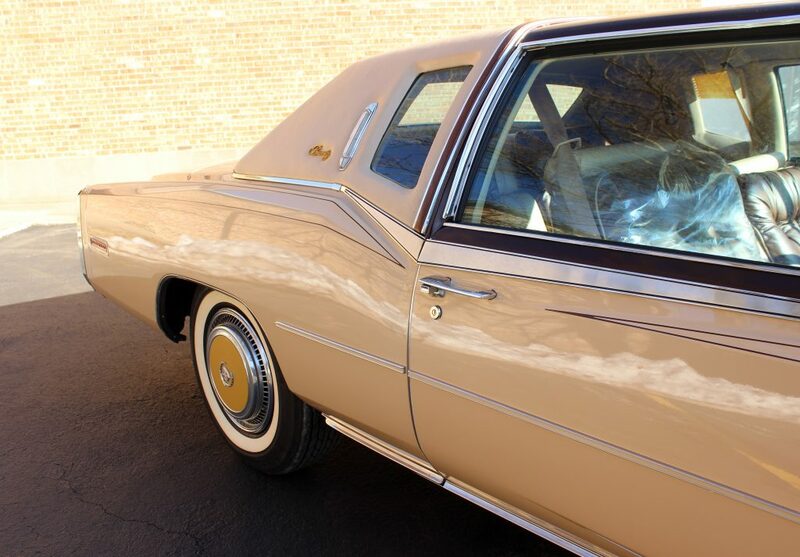 But get this – the father gifted each couple a Cadillac. 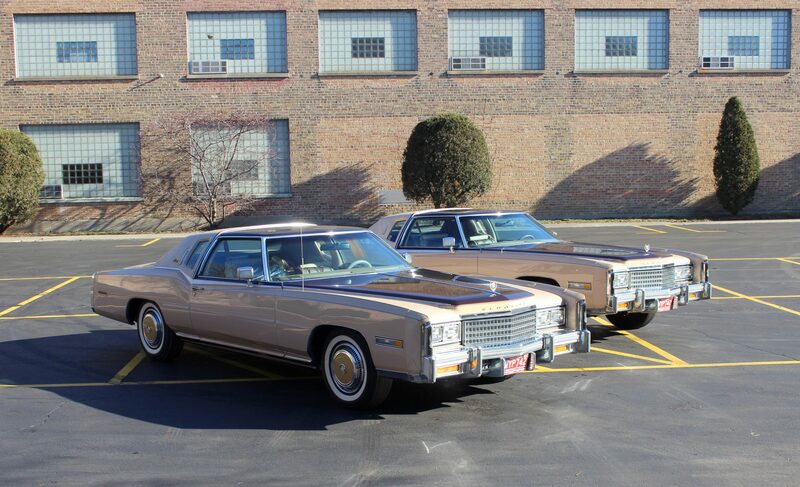 Matching, 200-mile, collector-level Caddys in as-new condition. How about that for a wedding gift?! Neither couple was particularly interested in cars, and both couples opted to let the cars remain in storage after their wedding. There they sat, all the way until late 2018, when the time to sell finally came. The next generation, the original owner’s granddaughter now, was soon to be married and the family opted to sell the Cadillacs and fund that celebration. No 20ft long, 5000lb wedding gifts this time around. When it came time to sell, the son-in-law that we dealt with had just gone on Google, searched “sell my classic car”, and called the first number he saw, which happened to be us. This was one opportunity we weren’t going to let slip through our fingers! Since bringing the cars home and giving them a thorough looking-over, we’ve elected to leave them just as they are. They’re only original once! So what if the plastic filler panels cracked a bit over the years, that’ll happen to 40 year old plastic. 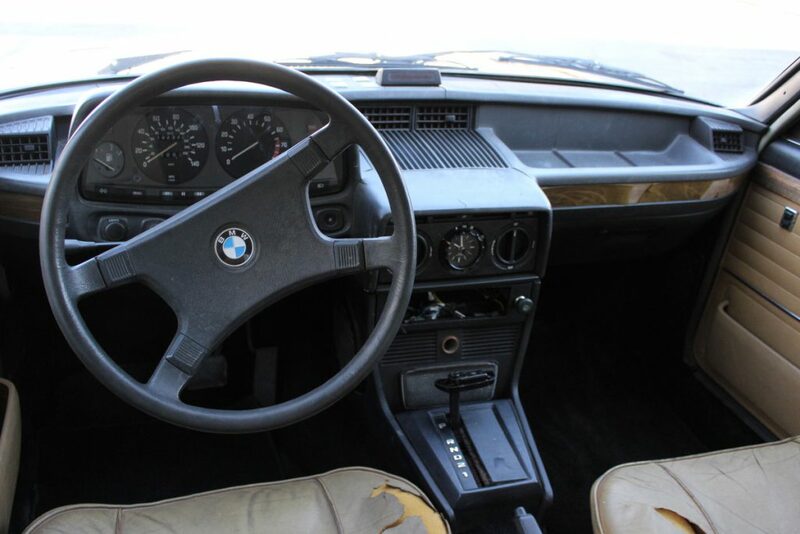 If anything, the filler panels just verify the original, honest, and unmolested charm of the cars. 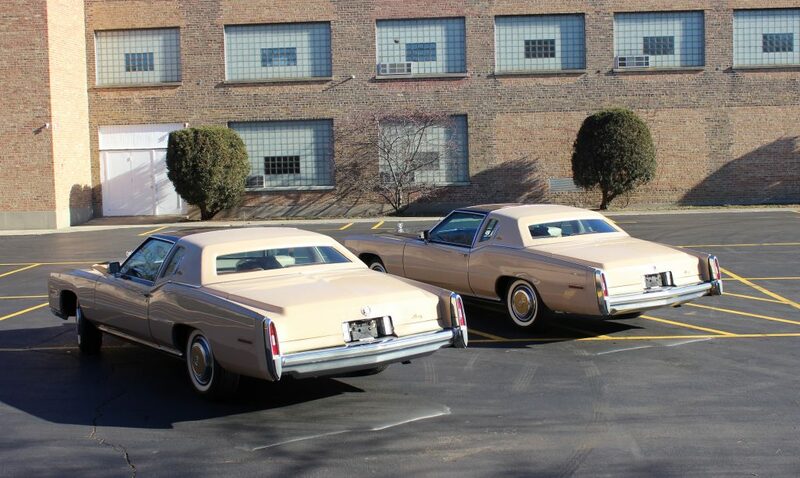 We’ve driven the cars about a mile a piece, the farthest they’ve been driven since 1978! How cool though, to open the door of a 40 year old car, slide in over the plastic seat cover, grip the protective-wrapped steering wheel, and roll down the road with the original window sticker obstructing your periphery. 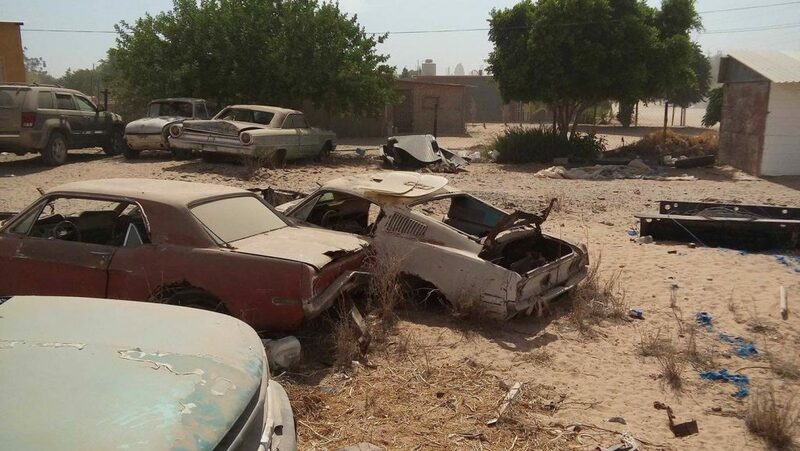 The real question though, if these cars were yours, drive or preserve? My gut says preserve, but a few thousand more summertime highway miles couldn’t hurt, right? A 55mph, fully reclined, right-lane cruise across the US of A has never sounded more appetizing. You wouldn’t carry a hundred dollar bill in a fifty cent wallet, so don’t tend to your priceless collector car in a garage that’s not up to par. As you restore and maintain your classic car into the vehicle of your dreams, you need a myriad of tools, tech and other things at hand and at the ready. The garage is more than a place to park your vintage car — it should be an all-in-one service center to give the car the TLC it needs to stay running and looking immaculate. Here are five must-have things that every classic car owner should stock in their garage. Before building an inventory of the various tools you need to care for your classic car, optimize your garage to be an ideal space that you’ll truly enjoy being in throughout your years of restoration and maintenance. To declutter the space and ensure you can find all your tools quickly and easily, invest in reliable garage storage. Cabinets with sliding doors help optimize space and protect your classic car much more effectively than traditional swinging doors. Hanging brooms, rakes and similar long odds and ends makes things simple to store and easy to find. Installing adequate lighting ensures you can identify every blemish and every scratch as you work on your car, so go for mounted or hanging lights with bulbs bright enough to make your vehicle shine. Additionally, weatherproofing the garage with proper insulation and strips around the edges of the door protects the car from high and low temperatures, rain, dust, and more, so it may be worthwhile investing in a climate-controlled garage, especially if your vehicle will sit dormant for long periods of time. Finally, select a workbench that speaks to both your needs ad your personality. It’s the operating table for all your projects, the easel for all your creations, so you’ll want to invest in a high-quality workbench with a durable and dependable vice that can last a lifetime. 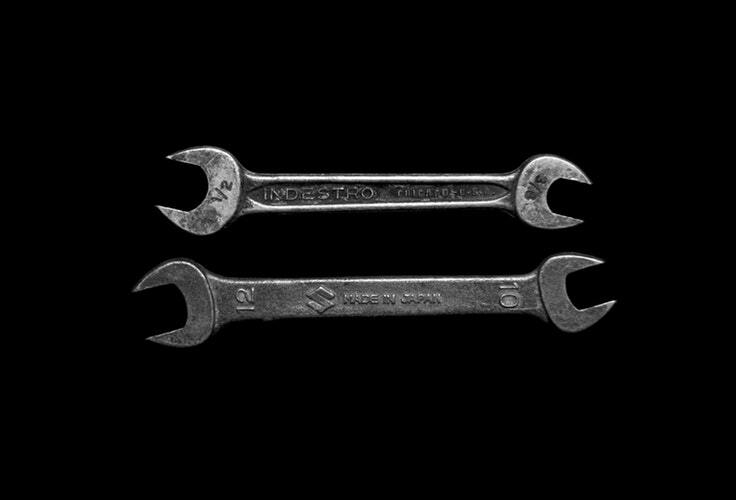 In addition to these classic car restoration staples, you’ll want to stock your garage with reliable and high-quality hand tools such as a full set of good wrenches, a power drill, tin cutters, and even a drill press. You’ll never regret being overprepared, especially if your garage has been optimized to fit all the miscellaneous wrenches and wires your project may need. 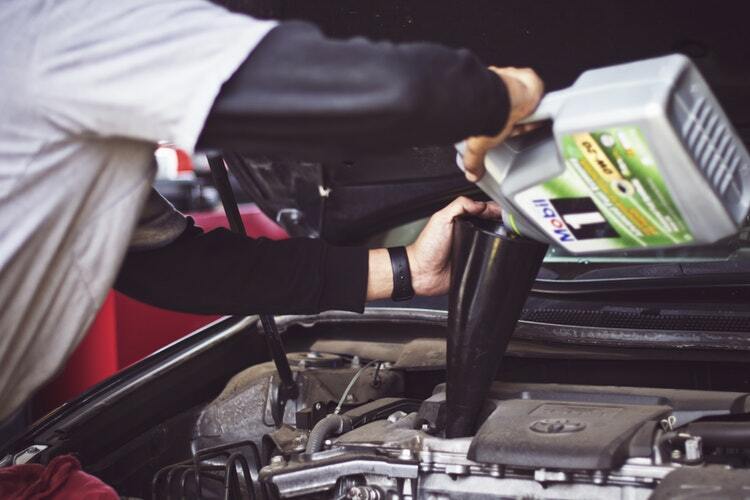 For any garage, it’s a necessity to stock up on an inventory of all the types of oil your car requires, from motor oil to transmission fluid to engine coolant and more. Needless to say, this is especially important to the restoration and maintenance of a classic car. Older engines are generally more fragile and susceptible to corrosion, so refrain from using everyday oils on your classic car. Vintage vehicles were typically created with cast iron and therefore more vulnerable to damage from modern oils. There are specialized oils available for vintage cars that contain zinc to protect the iron in the engine from erosion. 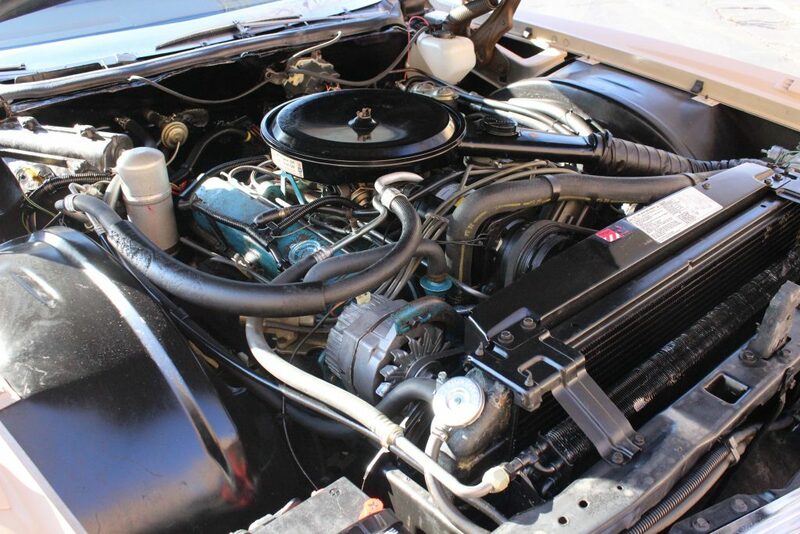 Additionally, stock up on waterless coolant that is designed specially to protect the engine of classic cars from overheating and their chassis from corrosion as it is a glycol-based liquid substance with a much higher boiling point than water-based coolants. Manual transmission lubricant helps classic cars to shift much more easily, while protecting the gears and the synchronizers in the transmission. 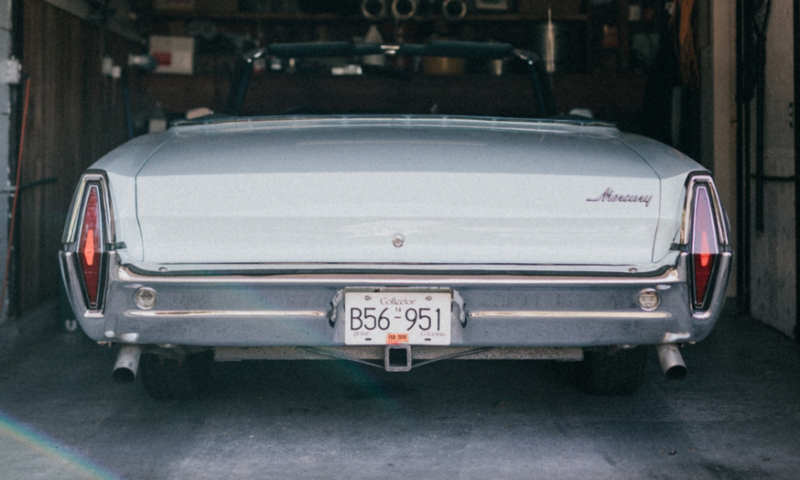 If you’re going to leave your classic car idle for a while in the garage, be sure to drain the vehicle of all liquids, such as oil, coolant and even fuel. Stock your inventory of replacement fluids in a cool, dark cabinet so that everything’s ready at hand whenever you need it. Every mechanic, DIY or professional, enjoys getting down and dirty every now and then; however, keeping clean while you work in your garage helps maintain order among your tools and protect your classic car from accidents. What happens in the garage, stays in the garage. Overalls or a jumpsuit will help keep all the stains, oils and spills that may occur while you work in the garage and out of your house. Gloves are an obvious necessity that some may be tempted to wave away, but it’s imperative to keep all oils away from the interior of your car. Latex gloves are easy enough to wear and throw away from mild tasks, but keep a good set of grip gloves to protect from the heat and for heavier jobs. Disposable shop rags and reusable towels are essential to have nearby to keep your classic car, your restoration garage, and yourself clean and pristine. As the saying goes, work smarter, not harder. An air compressor delivers much more torque and power than traditional electric tools, making any job from grinding to painting to polishing and inflating much easier to complete and in less time. There are many different types of air compressors available, and for a wide variety of prices, so consider exactly your needs before investing in one for your garage. For minor paint jobs and light air tools, a smaller compressor with a 20-gallon tank and 2-horsepower motor should be more than sufficient. Your tools will include information on their required air flow, as rating by standard cubic feet per minute (SCFM), so use those measurements to guide your decisions. For example, a 1/4” ratchet typically requires up to 3.5 CFM, while a sander may require up to 13 CFM. Additionally, there are both oil-lubricated and oil-free air compressors available. Oil-lubricated air compressors run much more quietly and generally last longer, but should not be used for paint jobs as it will contaminate the air line with vaporized oil. Dreams don’t come true on their own — they take hard work and determination. Your dream car is the same way, requiring a lot of elbow grease and brow sweat, as well as a place to get down and dirty. Let your garage be that place and help bring your dream car to life. When we think of “classic” cars, cars of the late 1990s surely don’t come to mind. Our minds go straight to carburetors, roll-up windows, and non-synchromesh manual transmissions. However, in the eyes of the law, a car only needs to be 25 years old to be considered a “classic”. How’s this for mind-boggling: next year the Mazda Miata turns 30 years old. 30! You kiddin’ me? Today we’re going to look at two modern, at least in our eyes, roadsters that just recently crested the 20-year-old mark, the Porsche Boxster and BMW Z3. In just a few years we’ll be seeing Boxsters and Z3s with classic plates; I can’t be the only one rattled by this realization. Seriously? The Boxster is already 20 years old? Little did the public know that when the water-cooled Boxster was introduced in late 1996, it prefaced the impending demise of the beloved air-cooled Porsches. The Boxster was soon followed by the 996, the first 911 to be water-cooled rather than air-cooled, which caused a stir among the Porsche faithful. Interestingly enough, the mid-engined, 2-seater Boxster was Porsche’s first road car originally designed as a roadster since the legendary 550 Spyder. You may have noticed that Porsche just recently changed the Boxster and Cayman names to the “718”, a homage to the 718RSK racers of the late 1950s, the 718RSK being a racing variant derived of the 550 Spyder. 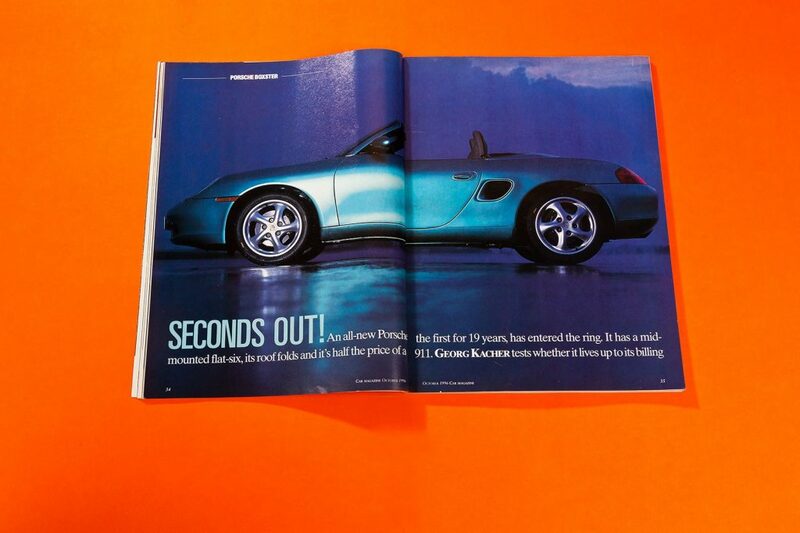 In the early 1990s, Porsche wasn’t quite the economic powerhouse we know today. As a matter of fact, they were on the verge of bankruptcy. In 1993, Porsche sold just 3,000 cars in the United States, total. In an effort to turn things around, Porsche looked to introduce a new, more affordable model. They looked to Japanese automaker Mazda, who was having tremendous success at the time with their Miata, an entry-level 2-seater roadster. Mazda had proven that there was a strong market for small, sporty roadsters, and Porsche recognized an opportunity. The Boxster would, in some senses, become the German Miata. It was similar to the Miata in that it was small, convertible, and relatively inexpensive, but it featured a mid-mounted flat-six producing nearly twice as much power as the Miata, had near-perfect weight distribution, and above all, wore a Porsche badge. 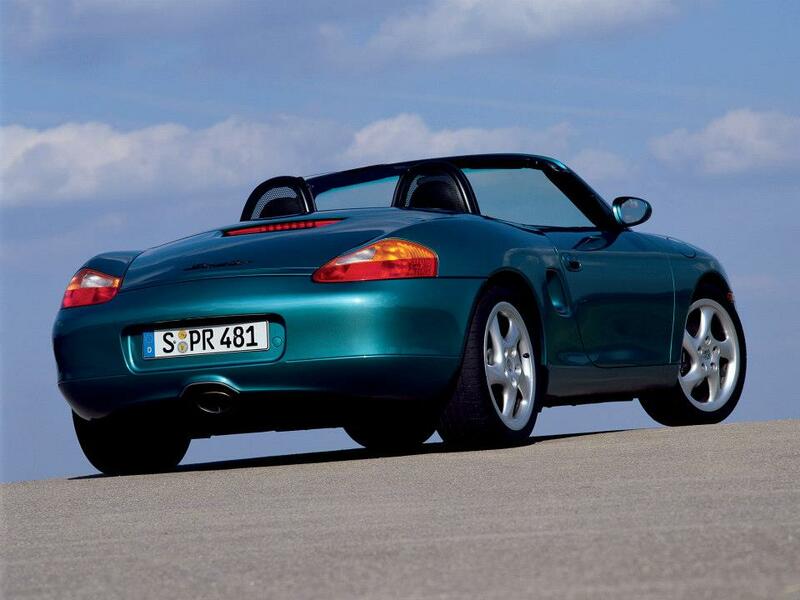 The Boxster was a massive success, and quite likely saved the company from financial ruin. 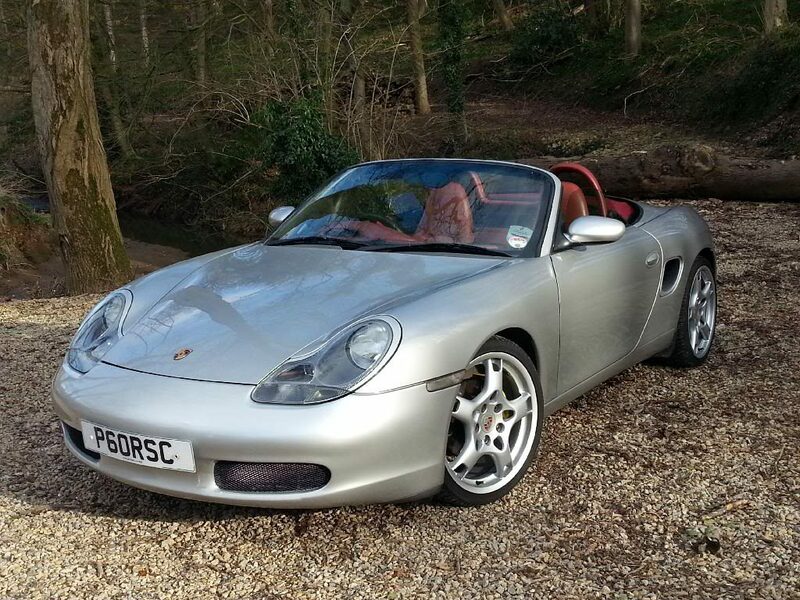 By 2003, when the first generation of Boxster was phased out, Porsche had sold more than 120,000 of them. Ironically, the Boxster, the car originally intended bring Porsche ownership to the masses, is now one of Porsche’s lowest volume sellers. 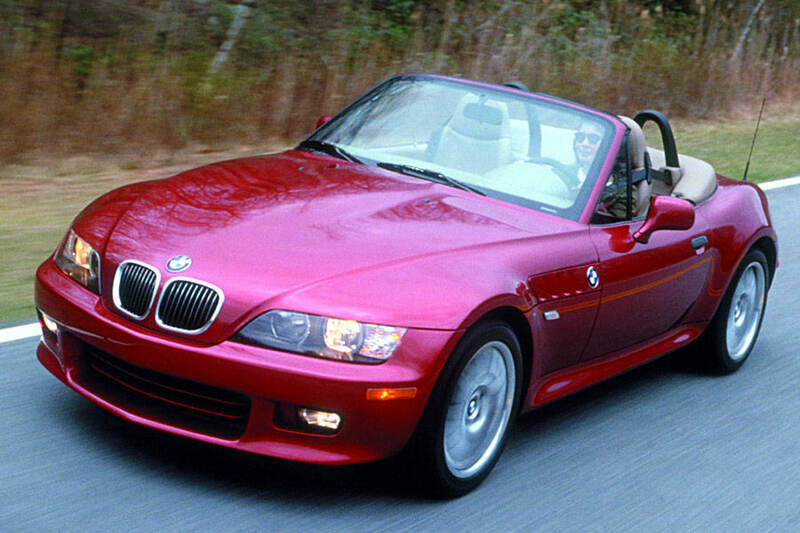 While it may seem a bit odd, as BMW has been such a prevalent automaker and household name for decades, the Z3 was actually BMW’s first mass-produced, mass-market roadster. It was also the first new BMW model to be manufactured in the United States, having been assembled at BMW’s South Carolina plant. The roadster was introduced in late 1995 and was an instant hit; by the time the car came to market for the 1996 model year, over 15,000 orders had already been placed. Just under 300,000 units were produced over the course of the car’s seven year production run, a huge success. While the Z3 Roadster sold very well, the Roadster is likely not the model that the Z3 platform will be remembered by. The Z3 M Coupe, with it’s hate-it-or-love-it “clown shoe” shape, was the ultimate development of the platform. 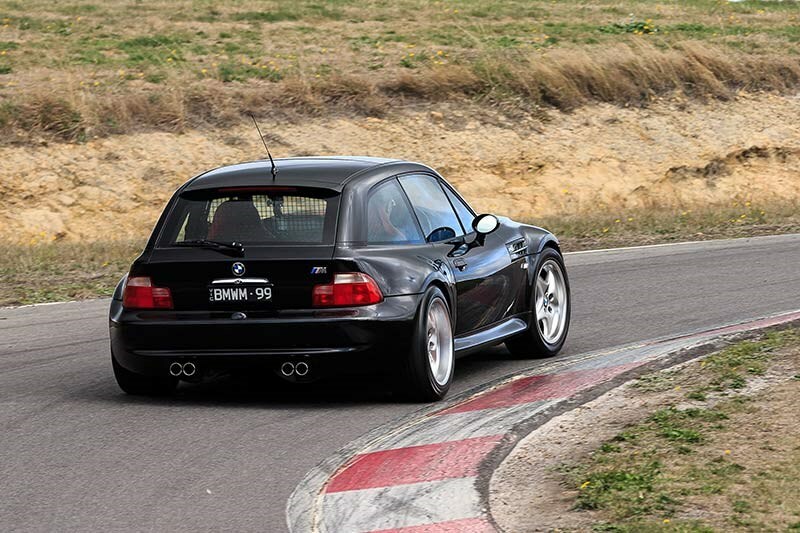 The M Coupe was essentially a Z3 powered by an M3 powertrain; the combination of the M3’s massive power (320hp in the Z3M’s later iteration) and the Z3’s sub-3000lb weight pushed the Z3M to supercar-like levels of performance. In recent years, the Z3M Coupe has seen a phenomenal appreciation in value, and, as the market currently sits, there’s no sign of values ever dipping back down. Today, twenty years after the Z3 Roadster’s inception, they’re still a common sighting. And because of the high production numbers, there are bargains to be had; higher-mileage examples can be had for as little as $3k. With the Roadster now at the very bottom of its depreciation curve, if you can find a nice, original, low-mileage example, you can only win. While it probably wont be the next Ferrari Dino or Porsche Speedster in terms of rapid appreciation in value, there’s no better time to buy than now. Win a free Bimmer from the Chicago Car Club! Who wants a free Bimmer? Anyone assembling a LeMons team? 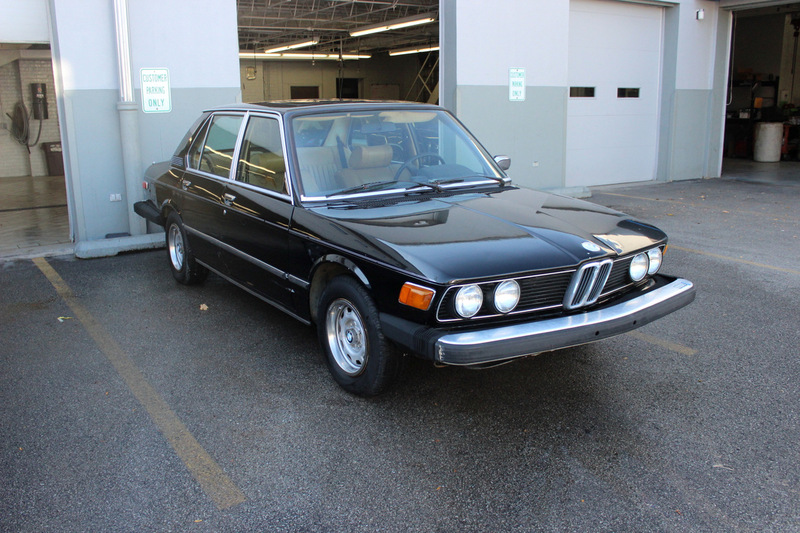 We have a 1978 BMW e12 530i Automatic that isn’t doing us any good just sitting here. It’s a rusty non-runner, but it’s largely complete and hey, it’s free. We’d love to see it go to somebody that’s going to have fun with it, rather than let it continue to be a lawn-ornament. There’s a couple holes in the floor pans; it’s not quite Flinstone-mobile level but it’s worth noting. 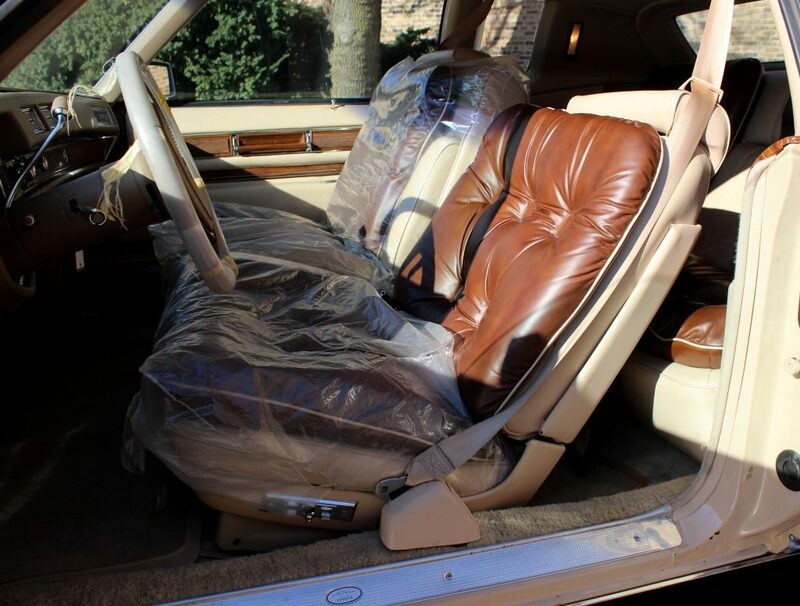 Seats are torn, dash is cracked…ya know how it is. We’re not interested in parting out – somebody just come take the thing! Participation in the contest is done by liking the Chicago Car Club on Facebook and entering a valid email address. Note: Your email address will not be shared or resold. The winner of the contest is responsible for the costs associated with shipping the vehicle. CCC can help coordinate if need be. The 1968 box-office hit Bullitt, in which Steve “The King of Cool” McQueen starred, has gone down in film history as one of the most influential car-related movies of all time. 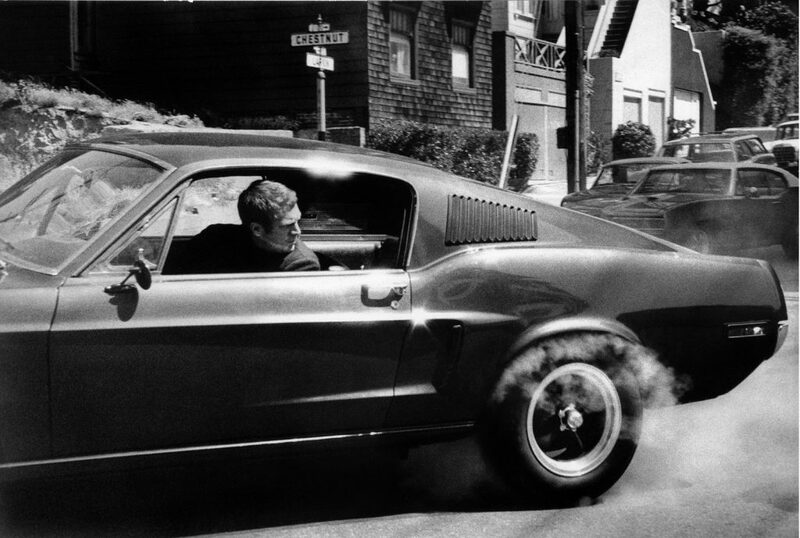 The car McQueen famously piloted in a high-speed pursuit through the hilly streets of San Francisco, a 1967 Ford Mustang GT, was thought to have been lost in the annals of time, having been scrapped following a thorough thrashing during the filming of the movie. 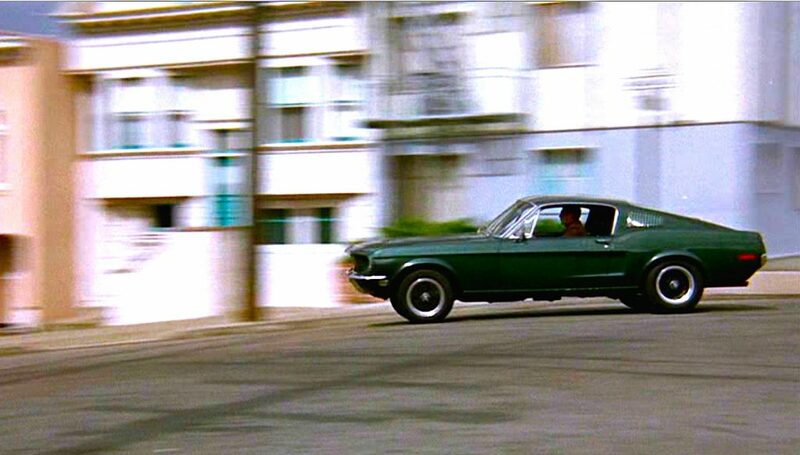 There were only two Mustangs used in the filming of Bullitt; a camera car, which has long sat in a private collection, and the scrapped stunt car. 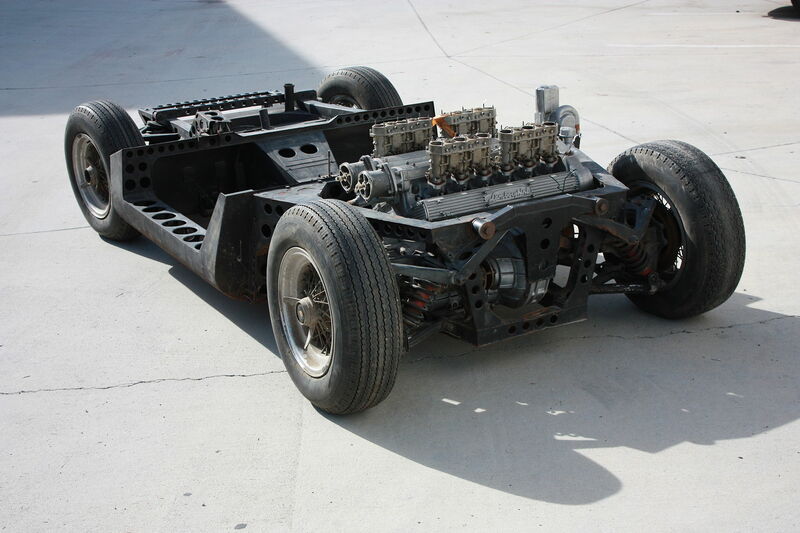 That very stunt car of chase-scene fame, thought to have been long since destroyed, was recently discovered by a couple Mustang enthusiasts in the Baja region of Mexico who had bought a rusty and wrecked ‘67 Mustang to turn into a Gone In 60 Seconds “Eleanor” tribute car. As any used car dealer would do, they Google searched the VIN to see if they could uncover any history on the car. What they found would change their lives. The VIN matched that of the missing stunt car, which Steve McQueen himself had unsuccessfully attempted to track down and purchase prior to his death in 1980. Of course, this VIN information was taken with a grain of salt, as it seemed too miraculous to be true. The finding of the Bullitt Mustang instantly caused an uproar in the car community; most people assumed the VIN tag was a fake. Kevin Marti, noted Ford historian and go-to source for Ford originality verification, flew down to Mexico to see for himself. His findings shocked the automotive community, “I am 100% sure it’s authentic”. With the 50th anniversary of Bullitt’s release coming next year, this iconic Mustang is expected to eclipse seven-figure dollars at auction. There it is folks, miracles do happen. Henry Ford’s name has always been synonymous with innovation. While he’s best known for bringing automobiles to the masses with his Model T and for streamlining the manufacturing process as a whole, there’s so much more to the man, the myth, the legend, Henry Ford. Here’s a few interesting bits of information that you may not have heard. On his family’s Michigan farm, Ford constantly found new ways to feed his mechanical curiosities. At age 13 his father gave him a pocket watch, which Ford disassembled and put back together in an effort to learn more about the inner workings of the timepiece. He quite literally wanted to know what ‘made it tick’. He quickly mastered the complexities of the pocket watch. It wasn’t long before neighbors heard of Ford’s developing talent, and he soon became the town’s go-to person for fixing broken timepieces. In 1891, the Edison Illuminating Company had gotten word of Henry Ford’s engineering prowess. They then brought him on as a night engineer. There he gradually climbed the ranks, until he became a chief engineer. During his time at the Edison Illuminating Company, Ford and a few friends developed what they called a Quadricycle, or in other terms, a horseless carriage. The Quadricycle would be a self-propelled vehicle, with four wire wheels and boat-like steering. He presented his design to a small group of Edison Illuminating Company executives, including Thomas Edison. Edison was impressed with Ford’s vision and encouraged him to continue pushing until he ironed out the design flaws, like the lack of a reverse gear, for example. Edison’s encouraging words helped steer Ford on the path to his eventual success. “Failure is simply the opportunity to begin again, this time more intelligently.” -Henry Ford. Prior to Ford Motor Company, Ford actually had two other failed business ventures. His first was a company called Detroit Automobile Company. Ford struggled to fill orders, which upset customers. He simply couldn’t build cars quickly enough to satisfy demand. The second company, the Henry Ford Company, fell apart because the shareholders wanted Ford to only strictly on customer car production, rather than his own racing activities. Eventually, the shareholders forced Ford from the company. 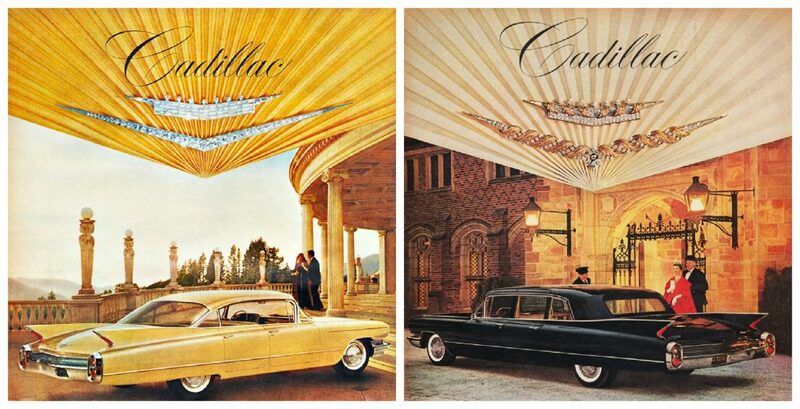 You may have heard of that company, though under a different name, The Cadillac Automobile Company. After perfecting the assembly line, Ford had issues with production of the Model T. He found that while specialized duties proved to be the way of the future, employee turnover became a huge issue. Workers were worn down, they didn’t handle Ford’s one-task-and-one-task-only division of labor very well. It was said that Ford hired a thousand workers for every 100 jobs. Ford increased his workers wages to $5, which was significant at the time, which drastically improved workers’ performance. The raise increased the quality of life for his workers, who often had minimal education or skills. This expanded the middle class, who now had money to spend on leisure items, like the Model T for example. Ford eventually gave his workers eight hour shifts and a five day work week. Ford refused to hand over complete control to his son, Edsel. Edsel tried to get him to expand the model line to include more than just the Model T, but Henry Ford refused. Meanwhile, Chevrolet was diversifying their model line. Ford then saw a massive decline in sales, which put him behind both Chevrolet and General Motors. This decline forced Ford to fire thousands of workers and shut down Model T production. The release of the Model A brought Ford back into the game. Ford was able to use the success of the Model A to ride out the first two years of the Great Depression. However, business soon slowed down and Ford struggled. It didn’t take long for him to get back on his feet though; in 1932 Ford began to mass-produce their flat-head V-8 engine, which brought Ford back into financial stability while simultaneously jump-starting the “Hot Rod” movement. We are happy to announce the release of our December wallpaper calendar, featuring a 1961 Mercedes 300SL Roadster from our good friend Shelly.